I wanted to share some of my newly purchased products and adopted routines. All beauty products are affordable if you would like to try one yourself. I wanted a new foundation and was inspired by Oksana of Foxy Oxie Supernova to try True Match Super-Blendable Makeup by L'Oreal Paris a couple of months ago. I happened to select the Classic Ivory shade for my rather fair skin tone. I love it as it blends easily, has SPF and I feel like I use a little less than I would with my old CoverGirl stuff. I forgot exactly what I paid for it, but it's in the neighborhood of 5 bucks. I highly recommend it. Also partially inspired by that FOS post, I wanted to try using primer for the first time. 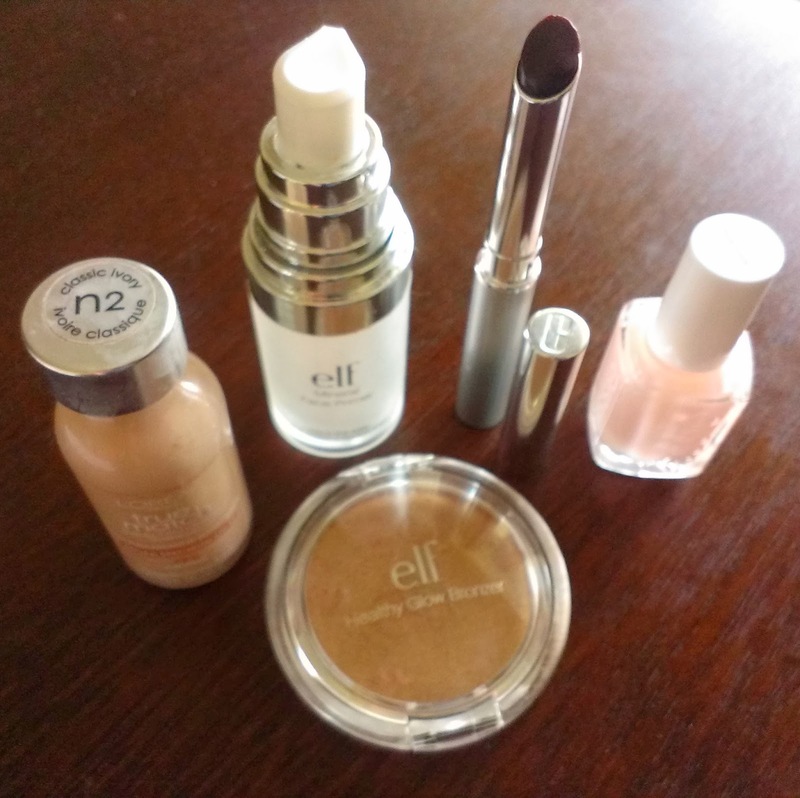 I now use and love Mineral Infused Face Primer by e.l.f. which I have mentioned previously. I picked it up for just $6 from Target. (Right now, it's on sale for $4.80.) I notice a slight difference in my look after I apply makeup on top of (my moisturizer and) this clear gel primer, it seems a little more perfect. I have a new go-to lip color for day. I know I name-dropped this product on the blog before too, but didn't give it a review. 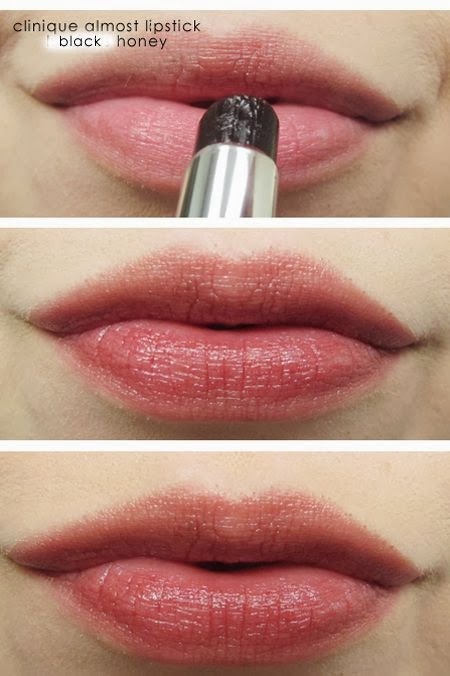 This highly rated item is Clinique's Almost Lipstick in Black Honey. It looks whoa dark in the tube, but since it's sheer and similar to a balm, on my lips, it is a slightly darker and warmer version of my natural color, so it's fantastic for a "le no make up look." This is my first Clinique product, so I didn't know what to expect regarding price. But at $15, it can be worked into the budget. Even though this is slightly more than I tend to spend on a beauty product, 'cost per wear' is low since I apply it at least once, often twice, a day. It was free to me since it was part of an exchange when I was returning Christmas gifts at Macy's. I purchased the highly rated Mademoiselle nail color by Essie. It's $8.50. Usually wearing red or a dark pink nail lacquer, its light hue is a departure for me. With two coats, it's mostly clear but has a slight pinkish white cloudiness to it. I'm wearing it on my fingernails now. It's flattering on me and I imagine it would be on most. I feel polished and French. I am running low on bronzer and instead of paying $4 to $14 on a new one when I'm trying to save every penny for Paris, I scored one on sale for $0.80. Normally, it is $1. This is another economical but completely fine e.l.f. product. This shimmery golden light bronze's color name is Sun Kissed. It comes in a compact that snaps shut, which is an improvement upon my old cheap one where the lid did not securely shut. I didn't store it on a flat surface like I should have; it was more convenient for me to throw it in my makeup bag, so the bag's interior as well as all my stuff was pretty much always faintly coated with light brown powder. Anyway, for a light dusting on my face and neck everyday, this new product will work for months and months until I replace it with something better. I've always washed my hair everyday. And then, I blow dry and flat iron out my natural wave, harshly taming it in submission. This is hard on one's hair plus these processes strip hair of its natural oils and so it's advised to skip a day or two in between washings. This is difficult for me since I appreciate how nice and clean my hair looks after I wash and heat style it. The sleek look I achieve is worth all the effort. But, reading more and more lately about how limiting shampoos is beneficial, I have been experimenting with skipping days over the past four weeks. The last week of January, I remember skipping Tuesday and Thursday. The next week, I really tried by skipping Monday, Wednesday and Friday. The third week I only didn't wash it Tuesday since we had snow and I feared a power outage would take the choice away. (Luckily we always had power.) And this past week, I skipped Wednesday and Saturday. I'm sure that I'm saving money on shampoo, conditioner and my more expensive heat protectant product from Redken already. I'm not saving loads of time, but there is another benefit. Every once in a long while it feels like I'm a slave to my big, unruly hair when I spend time flattening and smoothing it everyday, so it's nice to have a day "off." When I do skip a day, it doesn't look bad on the second day but I'm aware that it could be improved. I suppose I could use a dry shampoo to take away the very slight oiliness at the scalp, but I simply can't afford to add yet another $4-$15 product I have to have, especially not before my trip to Paris. (I filed away an email listing Real Simple's recommendations for future reference however.) I also deep condition it once a week with a mask and my hair looks dirty the next day with all that extra moisture, so I am unable to skip that particular day. Moving forward, I've decided to skip one day each week for the sake of its health as I truly want to keep my hair looking healthy for a long time. I can always increase that later. I usually bought Pore Shrink Deep Cleansing Mask from Kiss My Face and used this facial mud mask at least once a week. But at something like $15, I found that I might go long stretches without it due to the cost, so I wanted to find a cheaper alternative. When I found one online at less than half the price at $5.99, I added it to my wish list. I finally worked it into my budget thanks to a commission paycheck. Scoring it for 20% off at $4.79 plus tax and shipping, I recently ordered Pores Be Pure Skin-Clarifying Mask from Formula 10.0.6. I will try it out soon after it arrives and report on it as part of another beauty update. Since I ordered it from Ulta.com, I will also receive free samples (which is nice since I paid as much as what the item costs including tax just for shipping). I love a surprise! So, stay tuned for more reviews! I was on a bit of a French film kick recently. I watched three movies in French with English subtitles in about a week's time. It all started with this list of recommendations. First, I spontaneously rented Romantics Anonymous. A man running a failing chocolate factory hires a woman and both happen to suffer from severe social anxiety, so afraid of life, particularly close interaction with others. I found myself laughing out loud at their awkward moments. They fall in love while saving the business. 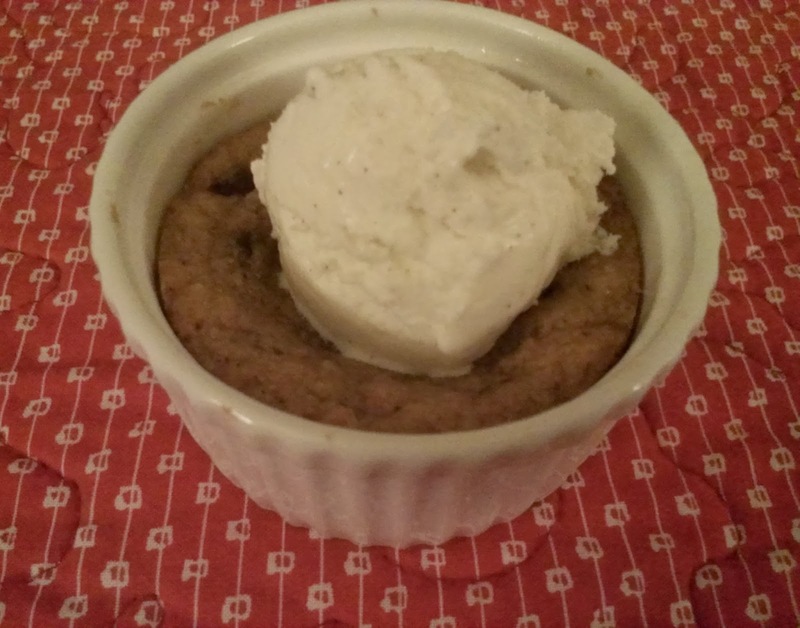 Like I said in this recent Simple Pleasure Sunday post, I indulged in dessert before viewing this sweet movie, which is a recipe for a nice night! Anyway! Since I enjoyed that French film so much, I chose another off the same list, I Do. That one was a little crazy though! ...but entertaining. This guy with a close, meddling, loud family are fed up with caring for him so they try to find him a wife. Instead of trying it their way or standing up to them, he devises a secret plan. He hires a woman to charm them but to stand him up at the altar. That way, depressed, no one will bother him anymore. That plan goes awry, so he devises a new plan. These parts are even more entertaining. As you can probably predict, the two fall in love in the process. There wasn't a rental option available, so I actually purchased it. I was just looking at Romantics Anonymous on Amazon the following weekend, just to see how much it would be to buy, but noticed similar recommendations toward the bottom of the webpage. I recognized Audrey Tautou from Amelie, Coco Before Chanel and The Da Vinci Code on the art for one, so I rented Delicacy last Sunday night. I thought it was good. I adore this talented actress and really felt for her character. Audrey Tautou's character's husband dies so she throws herself into her career. One day, she simply walks up to a co-worker and kisses him, not thinking about it at all. This nice guy can't just let that go! Unfortunately, there are many obstacles in their courtship, but luckily it's no match for these two. I enjoy foreign films. I like picking up on the language just a bit. Perhaps the common French phrases will come in handy during my trip to Paris. Plus, it's nice to see something out of the ordinary. Parts can be different from things Hollywood would produce at times, especially so many repeat outfits for the leading ladies! 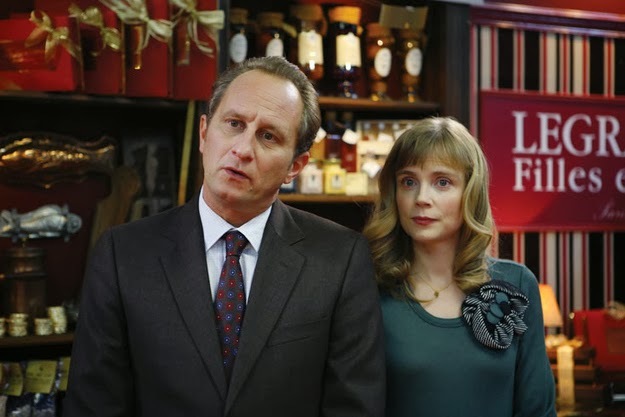 Do you have any French film recommendations for me? I am so completely addicted to Pinterest. As a way to wind down from a busy day, I love to look through the website. Finding an image I love is a little thrill. I've always been one to clip beautiful images out of magazines and I'm glad I can continue such a habit in a way that doesn't clutter my home and isn't so expensive. I easily pin using an app on my phone and Kindle plus the actual website on my Dell Mini. If I love an image or product that I find elsewhere, then I'll also pin it to stay organized. At this moment, I have a total of 1,595 pins organized over 20 boards. In addition, I have 3 secret boards. Since I actually use my pins to inspire an outfit, copy a makeup look, prepare breakfast/lunch/dinner/dessert, and embellish blog posts, I find it easier to manage when each board contains less than 200 images. My "Home Decor" currently has a bit more than that, so I will redistribute some to a new board soon. Since this is my 9th Simple Pleasure Sunday post, I will post 9 of my favorite recent pins. 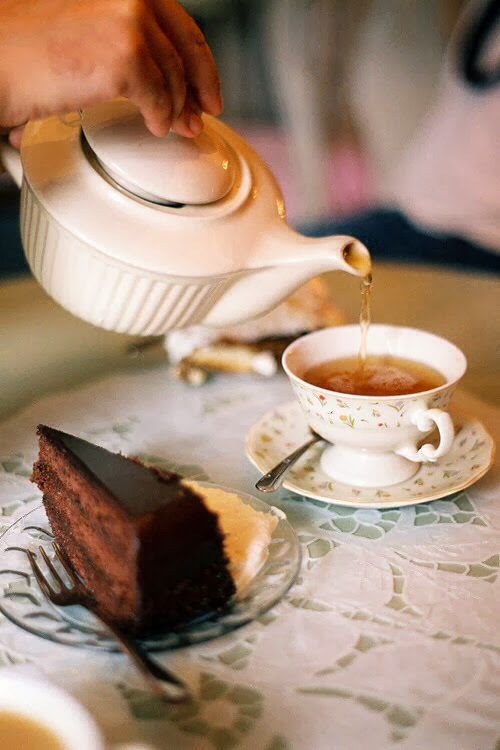 I pinned this lovely picture of tea and chocolate cake to my Simple Pleasures board. I found it by following Tina from EspressoInParis. 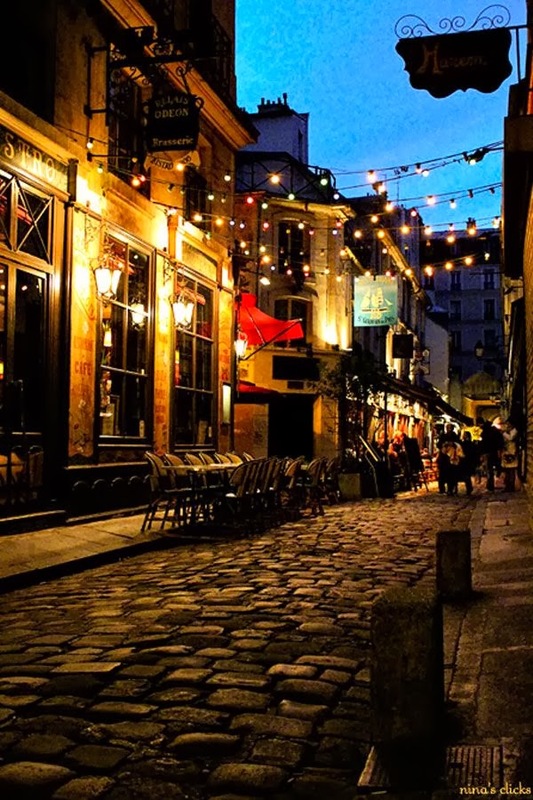 J'adore pictures of Paris right now. including this very structured dress. I strive to cultivate a classic and capsule wardrobe. 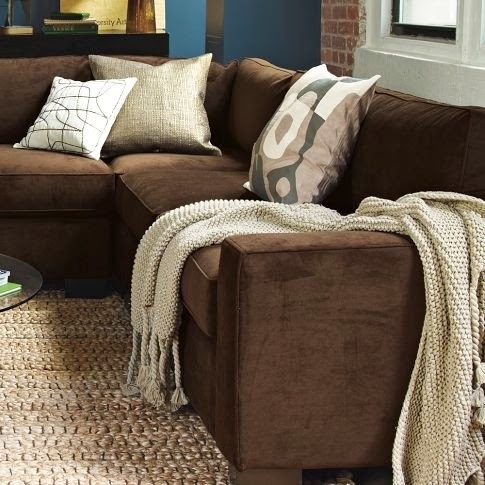 My current sofa is chocolate brown, so I love a sofa or small sectional in this rich shade. 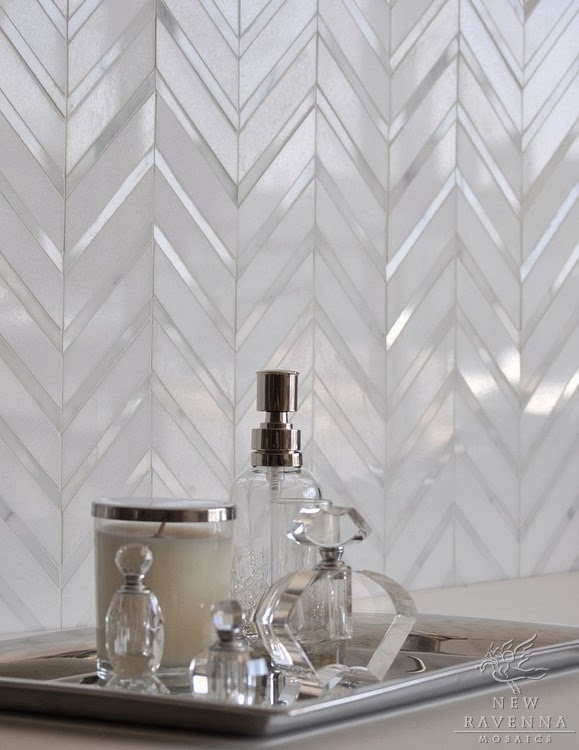 I love chevron and mother-of-pearl. This image I found on another website and then pinned. I own a key chain and a necklace in this bow collection and only want more! I love the color of her simple sheath. 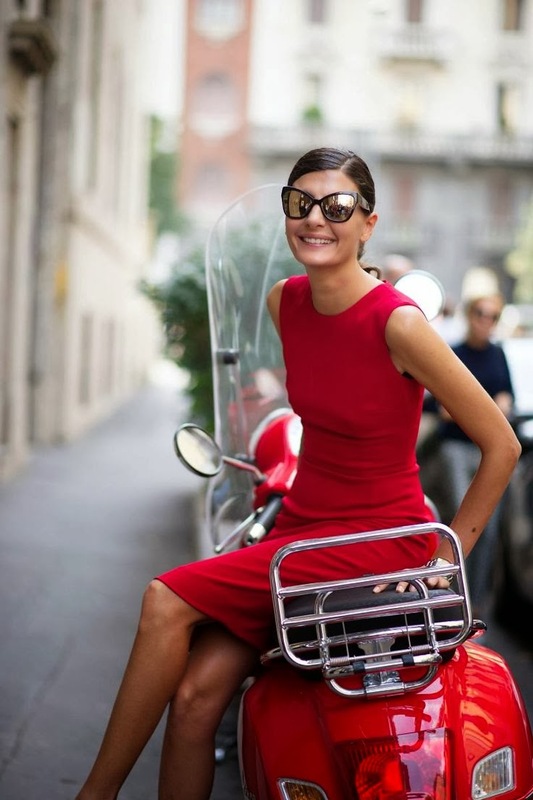 I wanna be that tan and sit on a red Vespa too! Another image I found while browsing online. 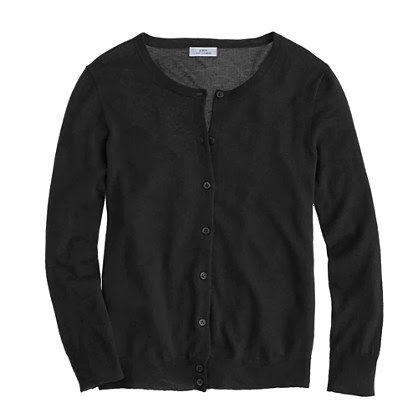 and this black crewneck 3/4 sleeve cardigan might be the item I wear most often. If you liked any of these, then I hope you will follow me on Pinterest. I just knew that when I saw this recipe on theKitchn that I had to make it! Doesn't that look like the best idea ever? I like that it's an individual portion as well. 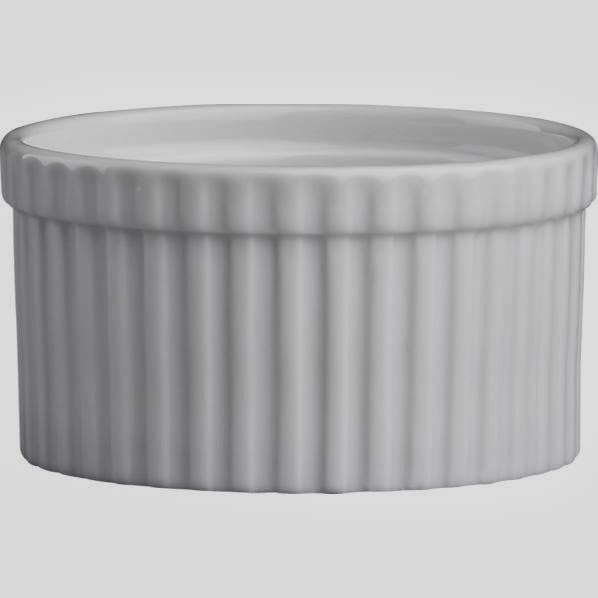 As soon as I could figure it into my budget, I ordered four small round ramekins from Crate&Barrel. They are 5.5 oz. and 3.5 inches in diameter. They're nice and I can see them being very versatile. I need to buy more, four at a time at least. Instead of making the chocolate chip cookie batter from scratch, we prepared it from a Betty Crocker mix. (I remember baking from scratch growing up and as late as high school, but in college, mixes were easier and I haven't gotten out of the habit yet.) 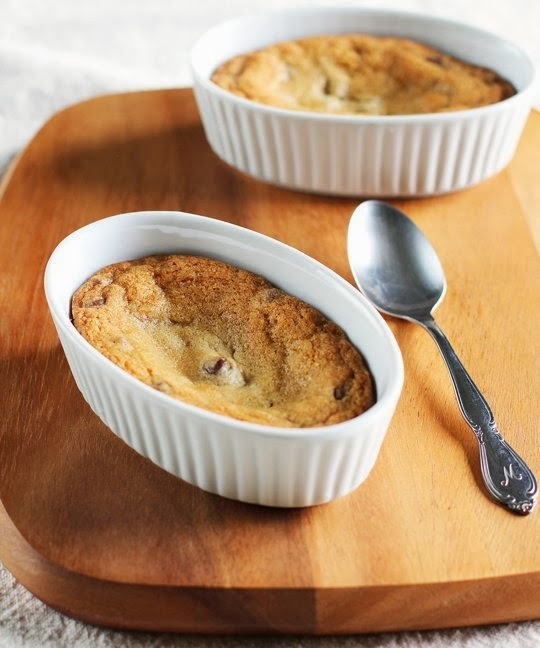 We topped the baked cookies with a scoop of Vanilla Bean ice cream. 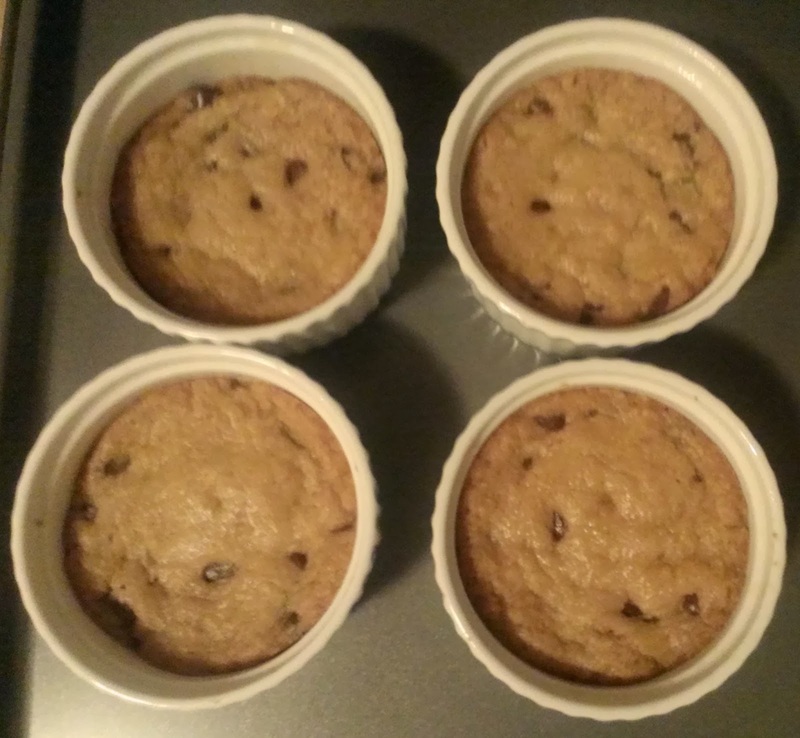 They were wonderful... You don't even need chocolate syrup on top since the chocolate chips are melted. 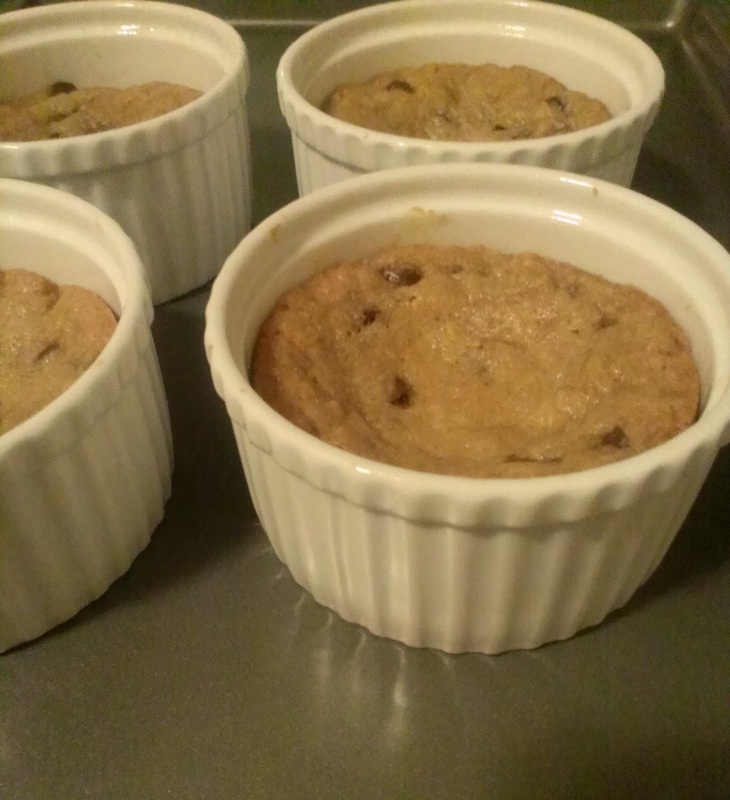 After rising during baking, I felt like the ramekins were much too full on my first attempt with Elizabeth, so I knew I wanted to make them again so I could blog about it for a Simple Pleasure Sunday post. I also wanted to be more exact about the process when I did share. So, I made them again last night. 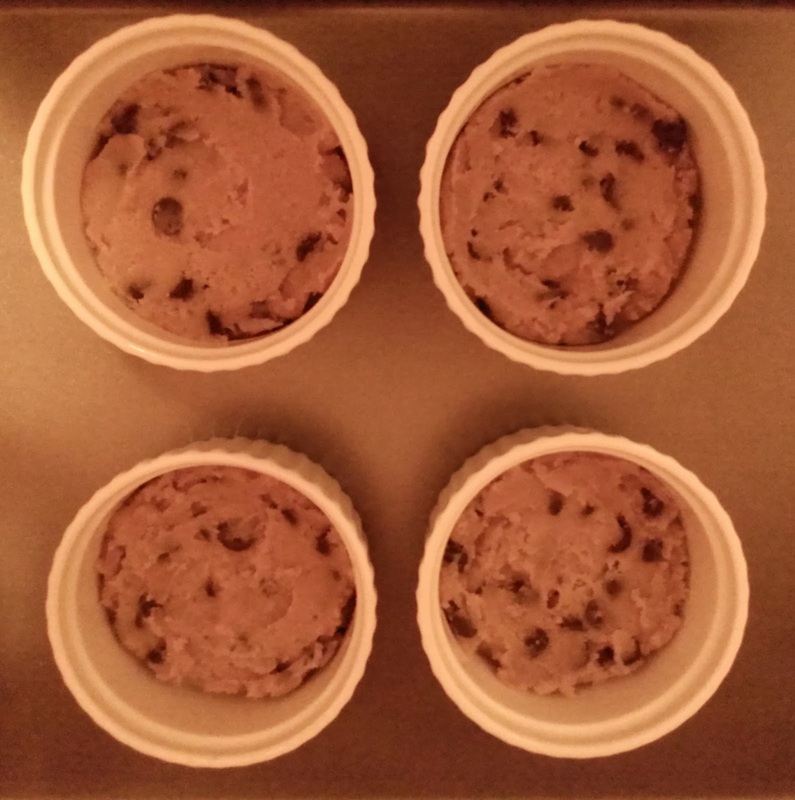 This time, I filled each ramekin with 1 3/4 ice cream scoop full's. (One of those "Trigger" ones that scrap the product out when you squeeze the handle. I use that for everything (to easily form chocolate chip cookie dough on a sheet, to ladle soup, and here to measure) and the one I was given by my German roommates in Italy in 2005 just broke. Target wanted $10.39 for a really nice OXO brand one, but I wanna comparison shop at Bed Bath & Beyond or HomeGoods first. I do use it enough to upgrade to that nice one though...) Next, I smoothed the surface. I found my fingers work way better than the back of a spoon. After that, I baked them for 18 minutes until the edges were starting to turn golden brown. Then, you let that cool for as long as you could possibly wait. Try to stall at least five minutes. In that time, they fall a bit on the middle, just asking for a scoop of ice cream. It was, again, delicious. 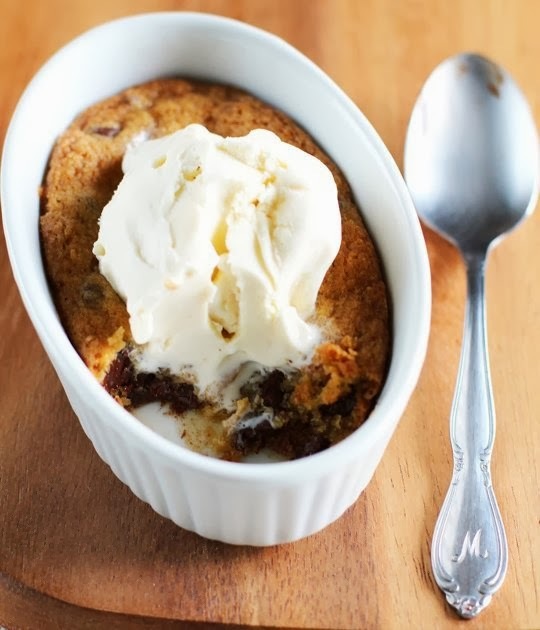 Even though it is messy, this is definitely my kind of dessert as I got warm, gooey cookie and cold, melty ice cream on each spoonful. Plus, it was a part of a sweet night since after reading through this list of French films (that Haven in Paris posted on facebook), I spontaneously rented Romantics Anonymous on my Kindle. This chick flick in French with English subtitles is about how a man and woman suffering from severe social anxiety fall in love. They share a passion for chocolate. I enjoyed it, laughed out loud many times. It was well worth the $2 I paid to rent it. It kinda reminded me of Amelie since these characters need to get over their fear and be open to love. I recommend it. 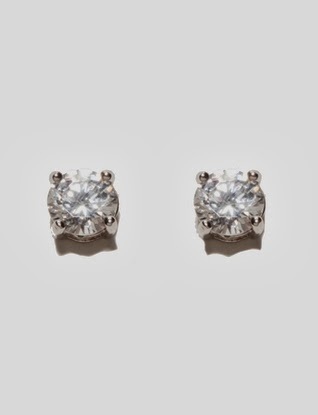 I love to wear cubic zirconia earrings, especially studs. 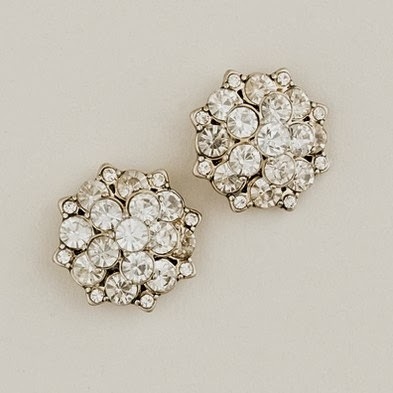 Although I hope to graduate to real diamond studs someday... With my birthday during April, it is my birthstone after all. They are very 'me' and I find them classic. 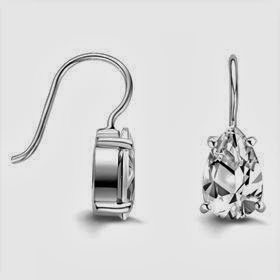 Simple yet sophisticated. 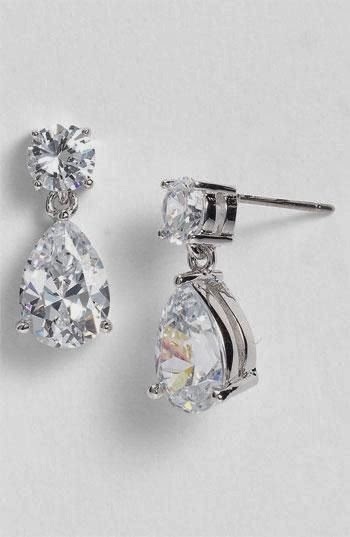 The cheaper cubic zirconia variety are my 'go to' earrings right now. 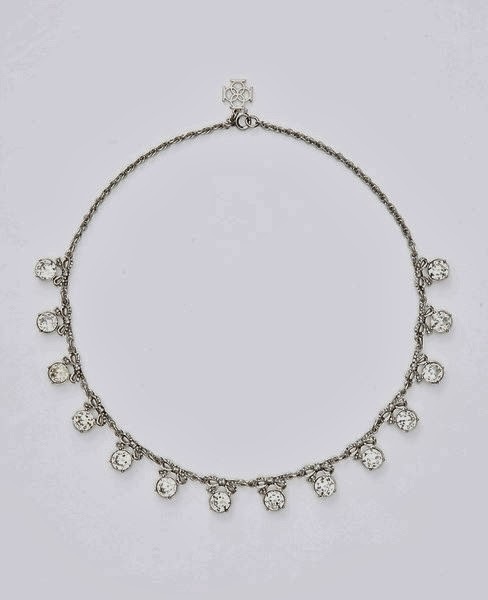 A gal needs a chandelier for special occasions or you know... Saturday night. 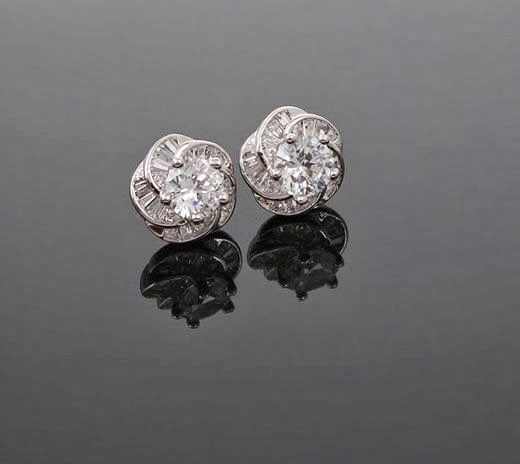 And these are called "Eiffel!" As a planner, I always like to publish about the current season's capsule wardrobe just as the season begins, but this time, I simply didn't get around to it. 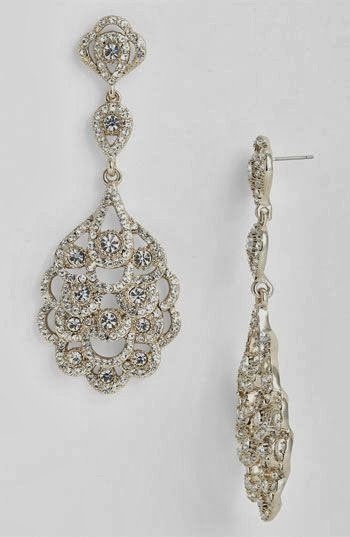 Instead, this post is inspired by Jennifer L. Scott's latest ten-item wardrobe update which I recommend you view here. I felt like writing about my own on my day off and this day of inclement weather (which is a wintry mix of rain, sleet and wet snow). 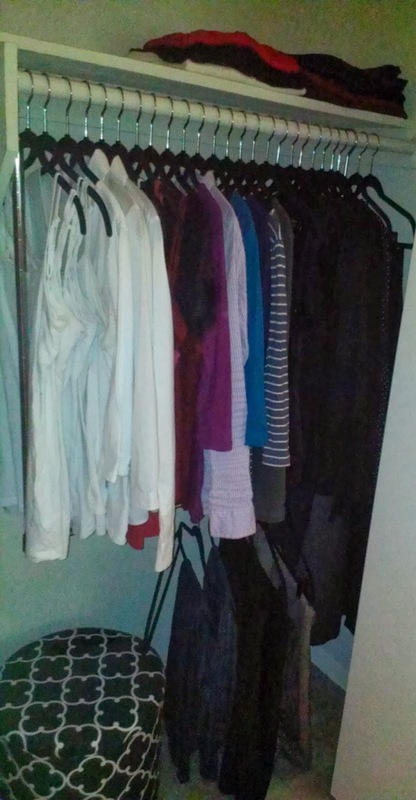 That's five tops, five sweaters, five pairs of pants and three skirts for a total of eighteen pieces. 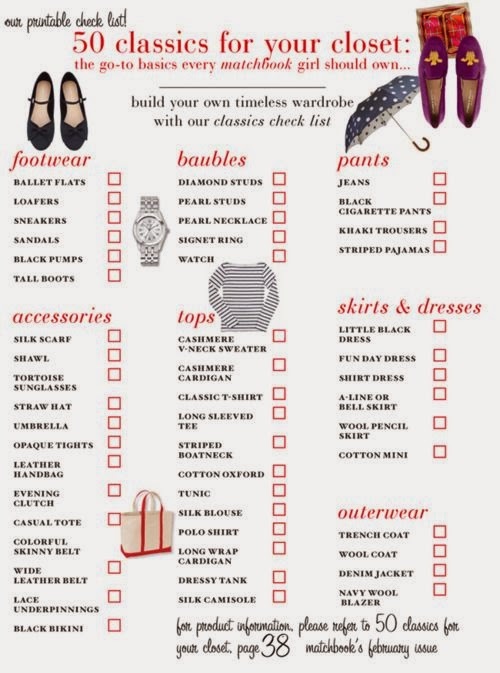 I realize that this is larger than a ten-item capsule wardrobe, but this number has worked well for me since I work a full-time job with a business casual dress code and have a life outside of work including dressing up during the holiday season. For example, I wore that red sweater with black lace yoke and sleeves tucked into my black pencil skirt and felt sophisticated for Christmas dinner with my family. I also only do laundry at my parents' place once a week, so I need more than ten items. There are many new items since I bought clothes during November. Shopping sprees are rare for me however. I care for pieces properly and so I tend to keep things for awhile, for many seasons in fact, but do replace them as needed. I like white a lot which tends to discolor quickly. With so much wear, my last pair of black pants only lasted nine months, so I picked up another at the end of December. My button-down shirts and particularly my purple v-neck sweater that I currently own won't last much longer. and many of the extras like tees and camis. I'm wearing my navy boatneck 3/4 sleeve tee with white stripes and bootcut jeans. -Many pairs of shoes including my go-to pair of black ballet flats with a patent cap toe by Naturalizer and tall black and brown leather heeled boots. That black pair of boots is new. 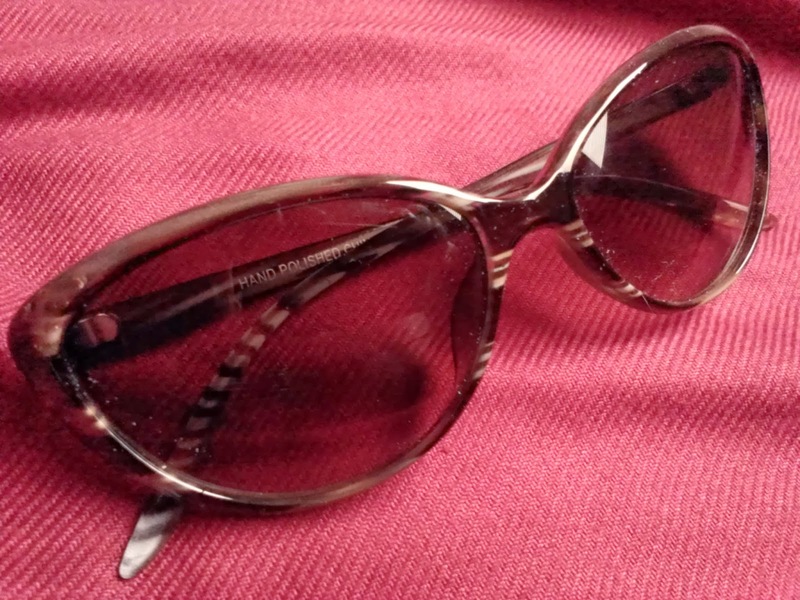 This is what I bought to replace my long lost pair. I chose to share a lot about the extras, i.e. sleepwear, so you can see that I apply the same concept there as well. I don't own a large collection of anything. Only what I love and actually use. I often wear a tee for day, so much so that I kinda feel like they should be among my core items! It'd be nice to dress up more though... I'll have to try to remember that! I also wear extras on occasions. For example, on New Year's Eve, I wore the pink cardigan over a black camisole with my black flirty skirt and black herringbone tights with lots of jewelry for some sparkle and shine. Of all of that, the skirt is the only one I label as a core item. Also, I made that sleeveless black lace top work for winter by layering my black cardigan on top and buttoning it halfway up. 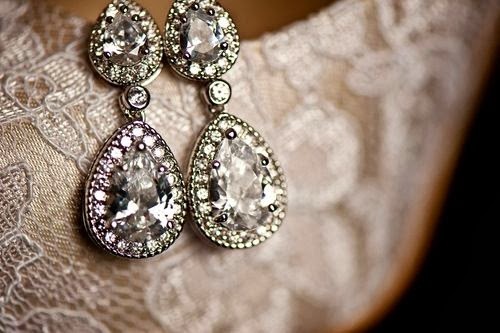 I love a touch of femininity the lace (now peeking out as a neckline) gives. I know that the groundhog predicted six more weeks of winter, but here's to an early spring and some warmer weather! I prefer spring clothes. ...and maybe I'll be wearing a cashmere item next winter! I love my favorite coffee shop! It's an independently-owned one that I've written about before here and here. Unfortunately, I rarely get there anymore due to my reduced means of transportation. On my day off on Friday, I did borrow my mom's and brother's vehicle and proceeded to drive two towns away to it. I think this is the second time that I've been there over the last few months. I went with Kate and her daughter in January but I do not believe that I made it there in December... Even though I no longer visit weekly but more so monthly instead, I'm still recognized and met with "How have you been?! Haven't seen you in awhile!" sort of talk by the incredible staff. I may even savor my time there even more since it's a rare indulgence, rather than a habit anymore. 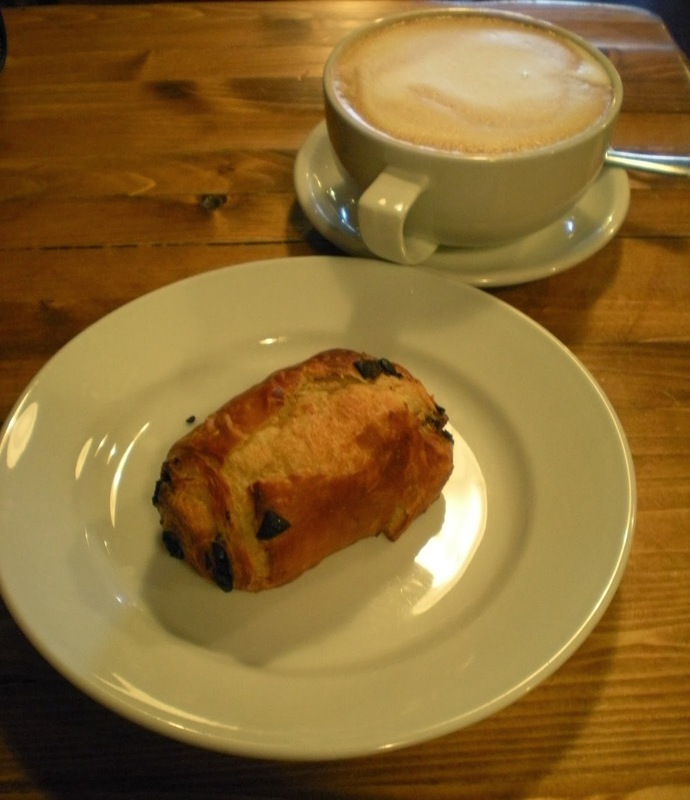 In addition to the warm atmosphere, I thoroughly enjoy their large cappuccino served in a mug and chocolate croissant. The coffee is made well and the pastry simply doesn't last very long. I sit and read, putting down my book completely every so often to give my full attention to my delicious food and drink, for about 45 minutes. This time I was reading A Moveable Feast by Ernest Hemingway. I also play around on my smartphone at times, pinning on Pinterest, scanning my news feed on facebook and reading my favorites on my blogroll. I adore this time with something Italian and something sweet. I feel satisfied that I found such a wonderful thing to do and place to do it for some "me" time. I feel happy leaving, and I don't think it's all that caffeine that truly impacts me! This experience is what this blog series is all about. Something little that I devote my attention to gives me so much joy.